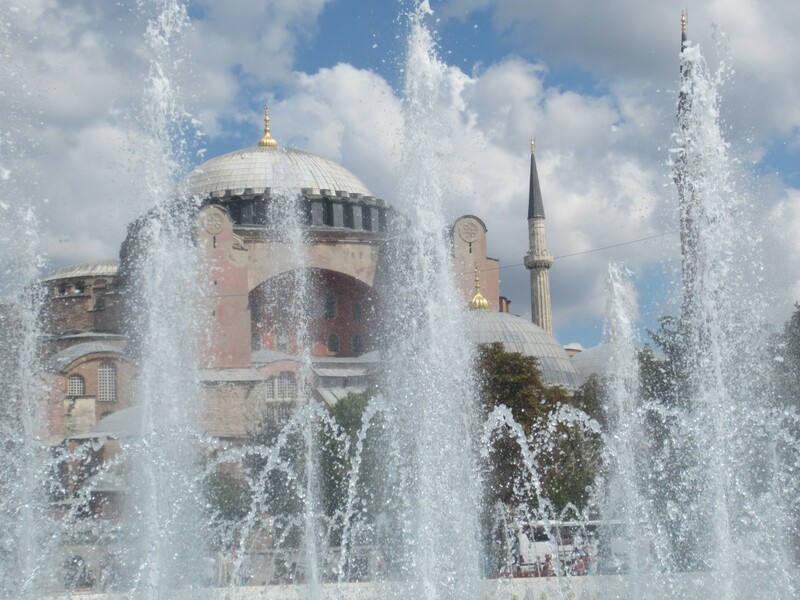 Hagia Sophia seen through the Sultan Ahmed fountain, by Linda Barlow. Interior view of the Rüstem Pasha Mosque, from a nice page by an outfit trying to sell Turkish language classes. 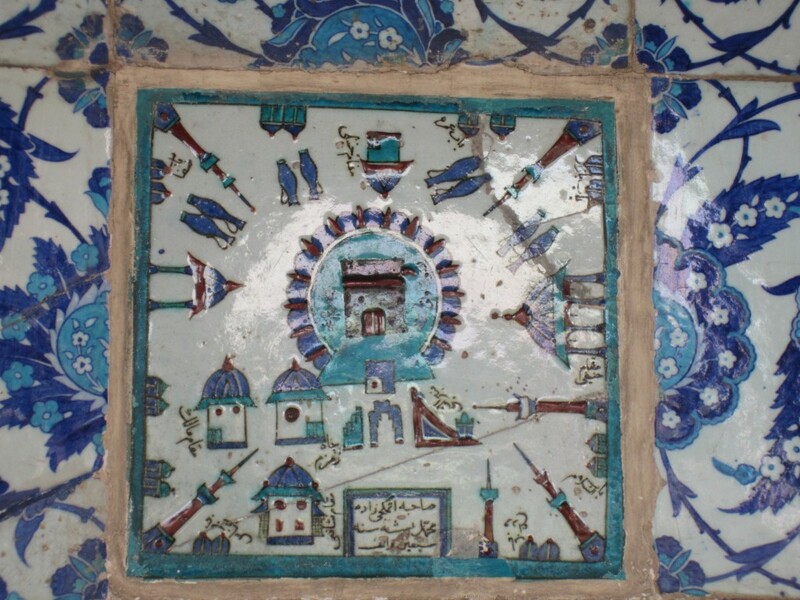 Tile outside the Rüstem Pasha Mosque showing Mecca, for those who can’t physically make the pilgrimage, by Linda Barlow.